Paisley Halloween Festival returns on Saturday 27 October for a celebration of all things spooky – and you can take a sneak peek at all the thrills and frights with this spectacular video. Eight-year-old Lily Blake – who is one of the stars of the breathtaking trailer – says this year’s festival is ‘totally wicked’. 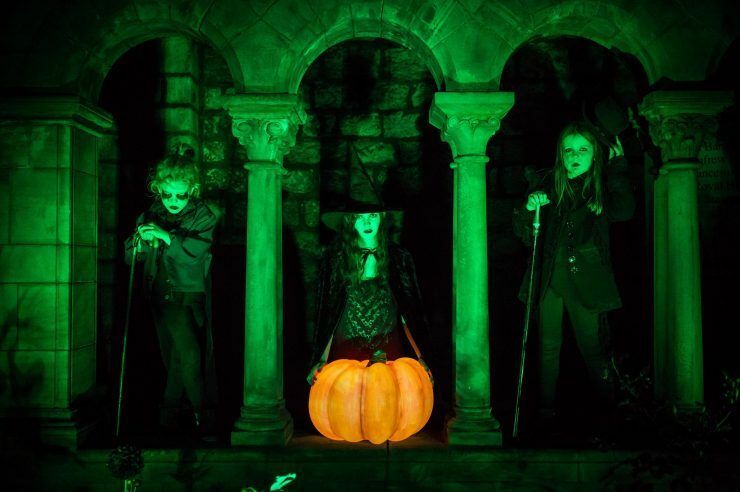 Lily is one of over 700 children and young people who will transform the streets of Paisley into a spectacular illuminated ghoulish wonderland with flying witches, giant pumpkins, breath-taking aerial displays and mardi gras-style parade at the event. 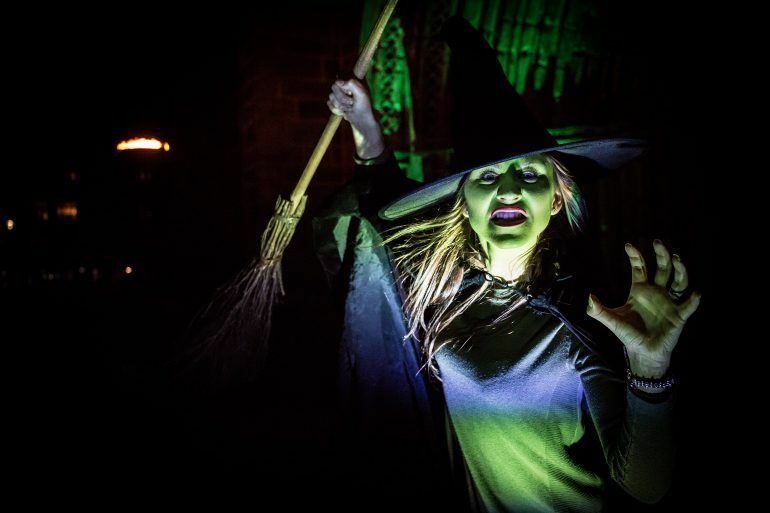 Paisley Halloween Festival has been listed as a top UK festival in 2016 and 2017 – and will return to thrill visitors from all over Scotland with the theme of ‘Something Wicked this Way Comes’. The hugely popular event will be set against a backdrop of the town’s historic steeples and spires and rooted in the town’s history of 17th century witch trials. This year’s festival is supported by the Year of Young People 2018 event fund – managed by EventScotland, part of VisitScotland’s Events Directorate – and will be one of the major events as part of the year. Young people are at the heart of the Festival and a 20-strong Youth Panel has been working alongside Renfrewshire Council’s Events Team to design and deliver the festival programme. The event will also see 180 young people take part in a new creative learning programme with opportunities to participate in performance, live event management and technical production. Kate McBurnie, 15, Youth Panel spokesperson, said: “It has been a great experience to be part of the festival and there are so many creative ways to get involved. I really love music and wanted to work on the soundscapes element of the lighting installations. The Parade has thrown up a lot of opportunities and we have been totally hands-on when the creative companies have asked for ideas. We are getting involved in everything from the technical side and working with aerial artists to creating large props and helping with special effects. I am really looking forward to seeing how everything will work together”. The parade will set off from Paisley’s Art Centre at 6pm on Saturday October 27, featuring 500 young people and performers in costume, and will make its way through the town passing lighting installations and haunting soundscapes along the way. 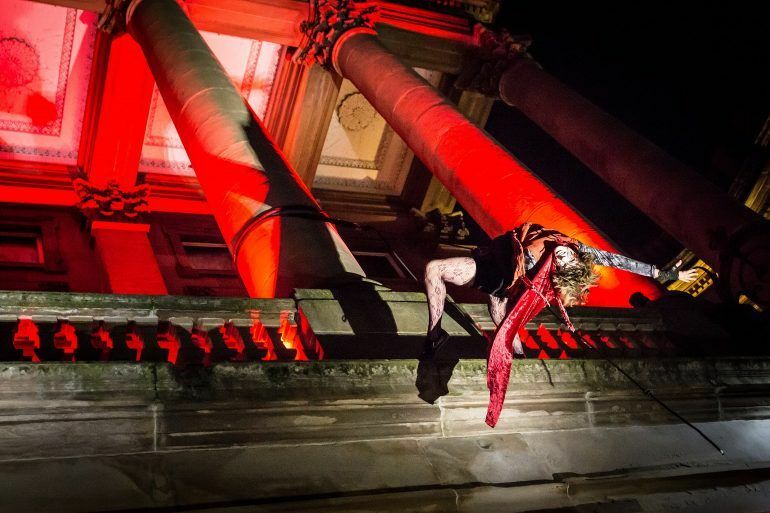 Spectacular aerial performances led by All or Nothing – Scotland’s leading aerial dance theatre company – will take place throughout the evening with a cast of witches suspended from Paisley Town Hall. Parade specialist, Noel Bridgeman of Bridgeman Arts, has designed and constructed four enormous floats with Renfrewshire’s young people – a giant animatronic ‘Witch and Cauldron’, a ‘Day of the Dead’ funeral scene, an illuminated ‘Witch and Mushroom Patch’ and interactive ‘Pumpkin Patch Man’ which will all be revealed in The Parade, the centre piece of the festival programme. Production and pyro experts at 21CC will also transform the centre of Paisley using creative lighting, sound and flame effects. Other weekend highlights include top-class performers Spark LED drummers, Beltane Fire Society and Mr Wilson’s Second Liners on the live stage. A main stage showcasing amazing acts, funfair, and cinema screening of horror films will add to the packed programme. Plus, workshops, pumpkin carving, family-friendly activities and costume balls for all ages. Watch the trailer for the Paisley Halloween Festival 2018 in the gallery above.